The Well is installed at A Hope and A Future! 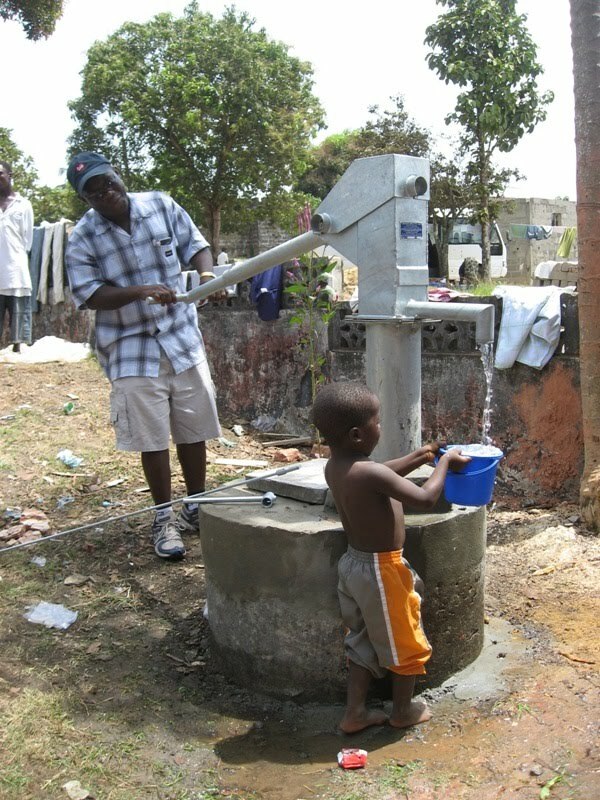 28.Feb.2009 - The new well is now installed and functioning a the Halfway House! Click here to see pictures and video of the installation and commissioning. 25.Feb.2009 - More progress at Prison Fellowship Liberia's Halfway House. This short video clip shows the downstairs with doors, a commode and paint! Starting to look pretty good! Click Here to see a video of the progress. 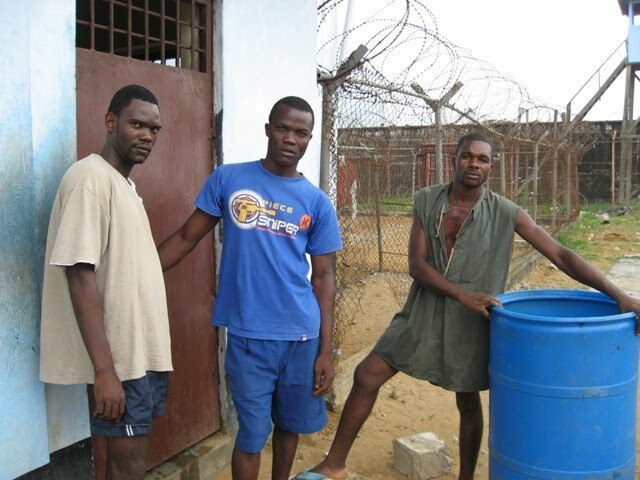 18.Feb.2009 - One of Kreig's great joys from his time spent in Liberia has been to work with Prison Fellowship (PFL). He has enjoyed going to the prisons and meeting with the inmates. The fantastic work that PFL is doing within the prisons is now expanding through the dream of Rev. Francis Kollie, PFL's Executive Director. Francis saw the need for a halfway house, where prisoners could stay after being released from prison. He envisioned a place where they could get back on their feet, receive much needed counseling and perhaps learn (or teach?) a vocational skill. Francis' dream is about to become a reality with the opening of "A Hope and A Future" which is the name Francis has given the property and dilapitated building that sits on it in Congo Town. They are restoring a grand old house, room by room, and are soon going to be moving PFL's office there. Click here to see videos of the progress.